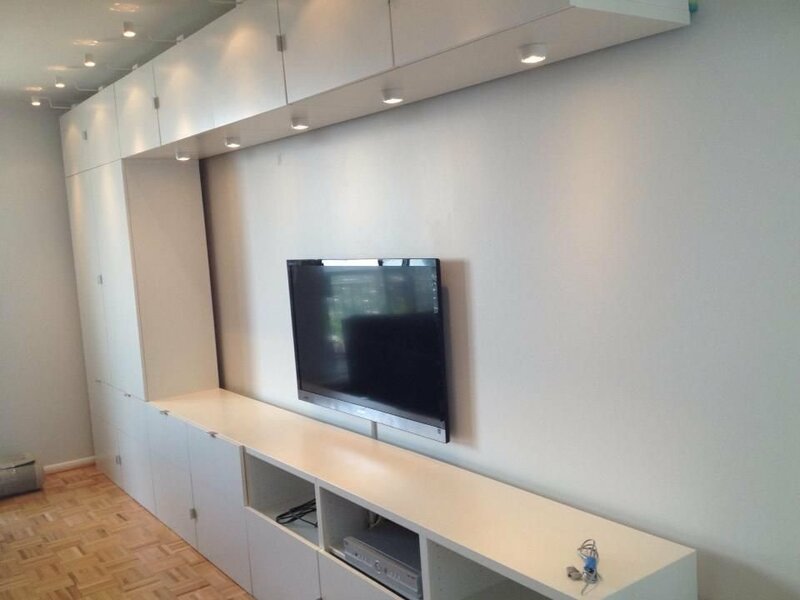 Standard TV Mounting: BOOK NOW! *Most TVs can be mounted within 1 to 1.5 hours. TVs requiring additional time due to concrete, bricks, wiring, or piping will be charged in 15 min increments at $45 an hour per person on site. External Wire Concealing is free for up to 3 cords. Client must provide the external concealing strip. Internal Wire Concealing: We provide the fire and safety standard regulation tube in which the wires are concealed (a $50 value). A hole is cut into the wall behind the TV, and another hole is cut next to the nearest power source. We then feed the wires into the tube, place the tube behind the wall, and connect the plugs into the power source. All this service for only $135 additional. Please tell us everything about your preferred TV and Home Theater viewing experience and Big Helpers will be honored to manifest your vision at an attractive price! Prices for Home Theater experience set up are quoted at a flat rate. Please call and let us know what you require and when you desire the services accomplished. Thank you. Syncing of iPhone, Tablets, and various wireless devices to Netflix, Hulu, Roku, etc. You are encouraged to book your TV Mounting appointment 24/7 via online.